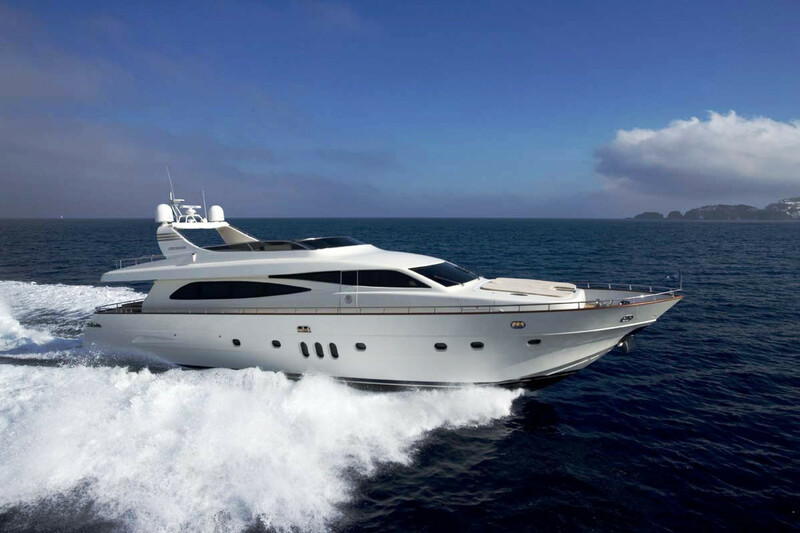 G-Yachts is delighted to announce the sale of WHITE QUEEN. Built in GRP by Italian yard Canados she was delivered in 2007 and had a major €300,000 refit in 2014. She accommodates eight guests in four cabins consisting of a master suite, VIP suite, a double cabin and a twin cabin, all with en suite bathroom facilities. The elegant and refined interiors of the yacht clearly demonstrate their contemporary inspiration. Glossy maple and black-painted ash were selected for the furniture, white-painted parquet for the flooring and white leather for the sofas. The large flybridge, featuring teak decks, is uncluttered by tenders or water toys and provides lounge space for sunbathing with five sunbeds and an area for al fresco entertaining and dining, complete with a new barbecue. White Queen has been rarely used by her owners, and the captain has maintained the boat to the highest standards. She is in turnkey condition, ready for the season without the worry of having to make any repairs or upgrades to her interior or exterior features. The interior of this yacht features high end furniture and materials from brands such as Hermes, Smania, Turri, and more. All media equipment is top of the range and was replaced during the recent refit. Twin 1,800hp Caterpillar with only 800 hours give her a cruising speed of 29 knots.